Shangri-La Hotel, Colombo celebrates the dawning of the Year of the Pig with a gourmet set menu at the hotel’s signature Chinese restaurant, Shang Palace, from 1 to 10 February. 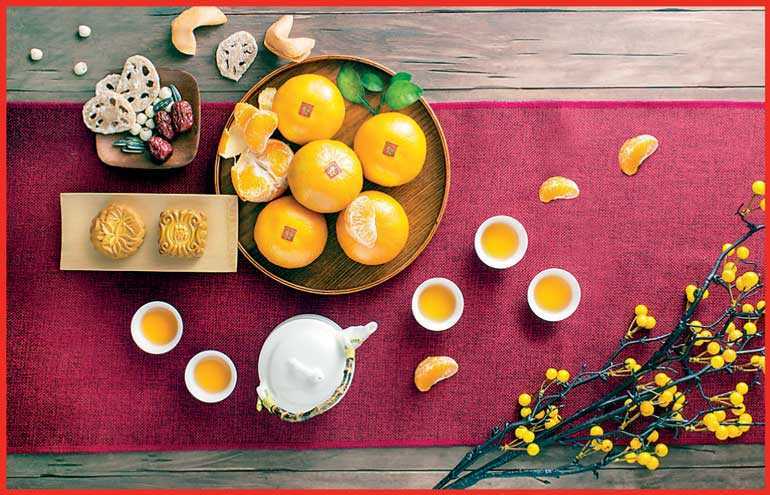 The Ang Pao Wishing Tree also lets guests experience the tradition of the ‘red envelope’ – a festive gesture of appreciation – from 1 to 6 February. Guests may dine at any of the hotel’s five restaurants and receive special offers when they reach a bill value of Rs. 28,000 nett or more. The Chinese New Year festival is centuries old and at its core are many rich customs and myths. Age-old traditions centre around China’s vibrant culinary history, with feasts that mark good fortune. 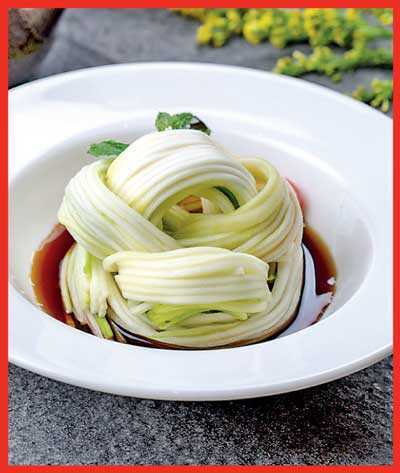 It is this very culinary journey that Master Chef Zhao of Shang Palace recreates for guests in the Chinese New Year. 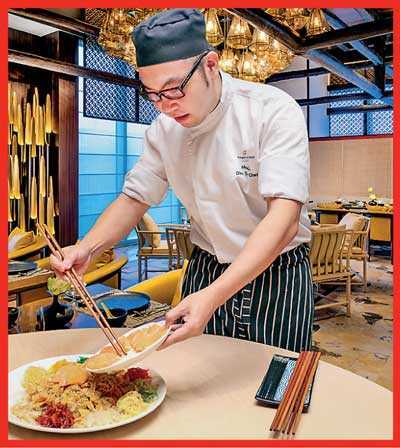 He will start all gourmet menus with traditional Yu Sheng served on a large platter with a colourful array of ingredients, including raw fish, shredded radish, carrots, pickled ginger and more. Everyone at the table begins tossing the salad simultaneously using chopsticks whilst wishing luck and good fortune for the New Year. This ritual is one of both togetherness and fun. Each of the gourmet set menus features dishes handpicked by Chef Zhao. This well-thought-out menu includes delicious appetisers, such as Crispy Tiger Prawns with Mango-Flavoured Chilli Mayonnaise or Zucchini Salad with Chilli and Light Soy. The main courses include such delights as Szechuan-Style Fried Pork Ribs with Signature Black-Bean Chilli Sauce and Wok-Fried Barramundi. Desserts, the perfect ending to a meal, include the signature Dragon’s Breath (mango sago with coconut) or Candied Mandarin Skin with Lychee and Coconut Cremoux and Passion Fruit Curd. The gourmet set menus for lunch and dinner from 1 to 10 February are priced from Rs. 8,888 nett per person. Continuing Shang Palace’s fine offerings through this time of celebration, the hotel offers the extensive Sunday Yum Cha lunch menu. Diners can delight in the chefs’ showmanship as they prepare flavourful dim sum, sweet bean buns and other fresh dishes in the open kitchens. Guests will be certainly spoilt for choice with the unlimited array of delicacies priced at Rs. 4,288 nett per person. Shang Palace also redefines lunching on weekdays, when the traditional Cantonese food culture of feasting on delicious steamed and fried dim sum whilst sipping on fine loose-leaf tea comes to life. The Weekday Dim Sum lunch menu at Shang Palace features a soup, a choice of the most delicious dim sum and dessert, and is priced from Rs. 1,930 nett per person.